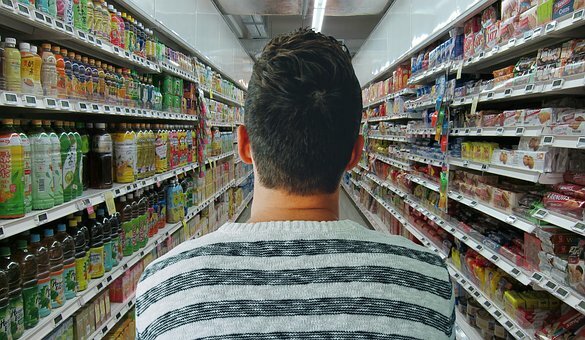 50% of EU consumers have switched brands, purely due to packaging. When companies hadn’t made efforts to switch to sustainable packaging solutions, the customers were looking for alternatives. Once shoppers find a brand that they like, they typically stick with it. This might be true to a certain extent, but don’t get complacent. If you fail to address their changing expectations, you may well lose out to the competition. This message was clearly illustrated in research undertaken by PRO CARTON. The ‘European Consumer Packaging Perceptions Survey’ outlines the findings from 7000 shoppers. It suggests that around 50% of EU consumers have switched brands, purely due to packaging. When companies hadn’t made efforts to switch to sustainable packaging solutions, the customers were looking for alternatives. The Survey also indicates that as many as 90% of UK shoppers wanted product packaging to be easily recyclable. They are keen to minimise their impact on the environment, but need manufacturers and retailers to help them to take action. With the general consensus being that more should be done to encourage companies to use sustainable packaging solutions, what are the options? One option is to remove all unnecessary packaging. In the past Amazon has been criticised for using large boxes for sending small items, along with other wasteful practices. They have taken steps to address this, one of which is to simply add a delivery label to pre-boxed items. This removal of the delivery box certainly reduces packaging waste, but the company have received complaints, as a number of Christmas ‘surprises’ have been ruined. Whilst there is a Check Out tick box to ‘Ship in an Amazon Box’, this request hasn’t always been met. A large label also makes the box less appealing as a gift item. If you are looking to reduce packaging waste, Aylesbury Box Company would suggest a design specific to your product. It is beneficial to include cardboard inserts to keep everything in place, whilst removing the need for filling materials. A carrot and stick approach has been presented in the ‘Demand Recycling: Policy Options for Increasing the Demand for Post-consumer Recycling Materials’ Report. Commissioned by WWF UK and the Resource Association, this Report suggests a levy on all packaging made solely from virgin materials. It recommends that the money generated from the levy should be used to reward companies that demonstrate a clear commitment to the circular economy. This report is specifically aimed at plastic packaging, yet the principles could apply to any packaging materials. Standard corrugated cardboard packaging combines recycled and virgin fibres. When the virgin fibres are sourced from sustainably managed forests, more trees are planted than are cut down. The cardboard boxes can be reused and in the majority of cases, easily recycled. It is the most widely used, sustainable packaging material. Corrugated cardboard packaging is lightweight, yet protective. It can be shaped in a myriad of ways and completed with a range of print finishes. As such it can be transformed into a material that suits almost any brand. As such, it can tick your design requirements, whilst also satisfying your ethical customers. If a switch to corrugated cardboard packaging could be a viable option for your brand, get in touch with Aylesbury Box Company on 01296 436888. We’re happy to discuss your requirements and provide recommendations and a quote.